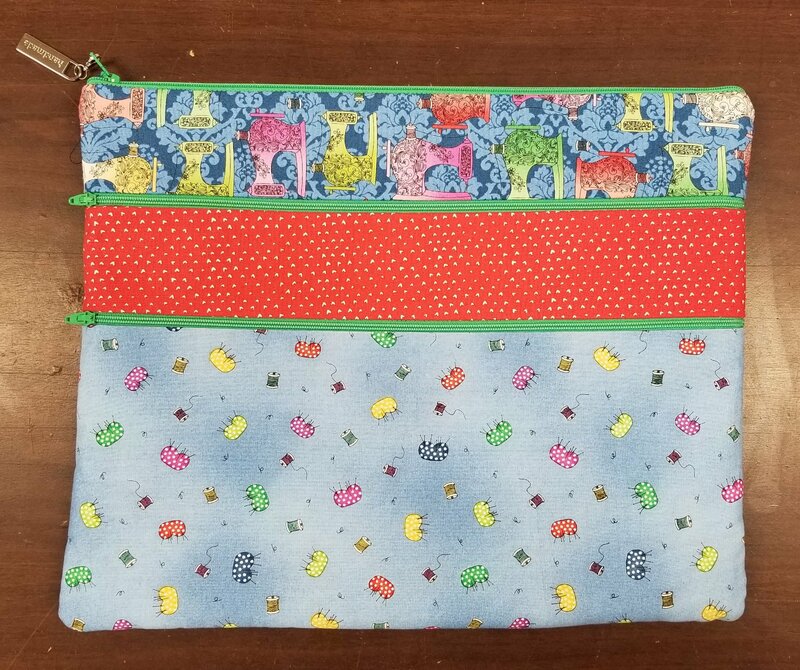 Create this handy, lined bag with 3 separate zippered pouches. Perfect for bringing your supplies to future classes! You will bring your own serger to this class. PLEASE NOTE: Make sure you get the Class Prep Work handout! There is cutting and fusing to do at home before class.